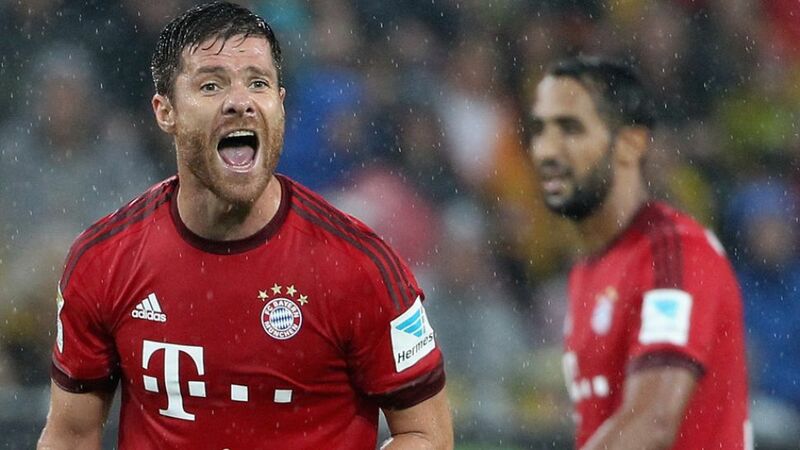 Munich - FC Bayern München's midfield strategist Xabi Alonso has his sight set firmly on winning the UEFA Champions League title again this season. Speaking to the club's website, the 114-time Spain international said: "[Winning the Champions League] is my great, great target. You want to shine in this competition and be at your very best." Alonso is a two-time winner of European club football's most prestigious prize, lifting the trophy with Liverpool FC in 2005 and Real Madrid CF in 2014 (although he missed the latter final through suspension). Bayern, meanwhile, have reached the last four of the tournament in each of Pep Guardiola's two seasons at the club but were comfortably beaten by FC Barcelona in 2015 and by Alonso’s Real the previous season. The 33-year-old is just as keen for domestic success as well, and having won the Bundesliga in his first campaign in Bavaria, he now has his sights set on helping the club achieve a record fourth straight Bundesliga triumph. "The Bundesliga is very intense," he continued. "The teams play very aggressive football, they're physically strong and don't leave you much time to think. You'll get into trouble unless you perform at the maximum level. It's a challenge that keeps me going." The 2010 FIFA World Cup winner and double European champion will be 34 in November but has shown few signs of age catching up with him, having started all three games to help the Reds go joint-top of the league. Following the international break, Guardiola's charges resume their campaign at home to FC Augsburg, before beginning their Champions League campaign away at Olympiacos FC.